Best of Sonic in glorious 3D... wait, come back! Nearly 20 years since this? Frightening! It's a rich old time for fans of classic side-scrolling platformers: Super Mario Bros. celebrated its 25th anniversary recently, and next year – June 23rd, to be precise – is the 20th anniversary of Sonic the Hedgehog. With Nintendo having pushed the boat out to commemorate its iconic hero's 25th – a red Wii for Europe, Super Mario All-Stars for Europe and, er, a website for North America – Sega obviously wants to make a big noise about the blue one's birthday, with rumours pointing to a new Sonic Anniversary Collection that's perhaps not what you'd expect. According to Spanish website Sonic Paradise, a Sega representative confirmed the pack during a discussion at this year's Gamesfest 2010. Rather than offering yet another compilation of Sonic's 16-bit glory days, the pack will apparently offer classic 'hog levels "updated for modern consoles", which could mean anything from a 3D reimagining (a la Sonic Adventure 2's secret Green Hill Zone) to a lot of graphical sprucing. Apparently the representative affirmed the pack would be on the way to Wii, DS and PlayStation 3 next year. That's not all: the same representative also claimed a new entry in the Mario & Sonic series was inbound for 2012, presumably to coincide with the London Olympics, although the game's genre was not confirmed, leaving that long-awaited platformer tantalisingly close. Remember, these are rumours until Sega officially announces either title, but we'll do some investigating and see what turns up. Even in Sonic Adventure, I don't think Sonic should be 3D. 2.5D at most. I'm not sure I should be happy to hear that or not. We'll see if there's any grain of truth to this next year anyways. Seems like only yesterday was the 10th anniversary, when they were packaging a demo of Sonic Adventure 2 in with Phantasy Star Online on the Dreamcast. Right before they canned it. Hmm. Interesting. Hopefully it won't just be yet another re-compilation of 1/2/3&K. Some love for Sonic CD would be nice. Only with the European/Japanese soundtrack, though! Naturally I'm looking forward to this. I want to finally see a rerelease of Knuckles Chaotix, although it would be strange to include a "Sonic game" that Sonic isn't even in to help celebrate Sonic's birthday. Whatever it is, it's likely to be near the top of my birthday list next August. Oh, yeah, Chaotix would be nice, too. And maybe, despite its use of a trackball, SegaSonic the Hedgehog (the three-player arcade game) could be adapted in some capacity? Sega could just give Sonic Adventure 2 to PSN and XBLA.I have a good few sonic games for wii and gamecube like Sonic Mega Collection,Sonic Gems Collection and etc.Yea im looking forward to this as well. Let me get this straight - this is going to be a Sonic retro gaming compilation re-done with modern day graphics as in Mario Allstars? That's bloody awesome! A compilation of retro sonic games remade with modern graphics? That sounds awesome, nintendo should've done this with super mario all-stars 25th anniversary edition. I hope the new mario and sonic game isn't just another olympics game. It would be cool if mario and sonic were in a platformer or advenrure game together. 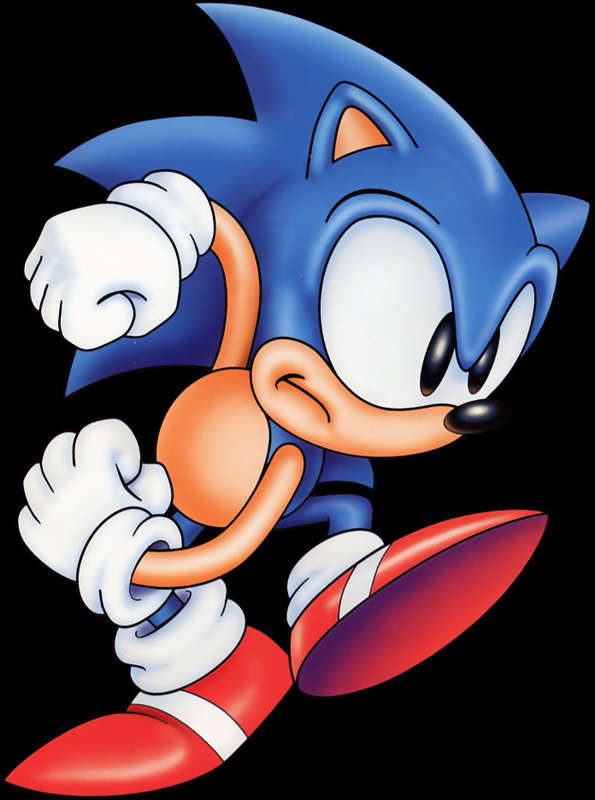 I don't see why all the people are all about "Sonic in 2D is the only way Sonic should be". Sure, everything after Sonic Adventure 2 was mediocre due to some unwise design decisions. Maybe it's just because I played them first, but I prefer good 3D Episodes over the 2D ones. I even liked SONIC THE HEDGEHOG, if you can get over fatal bugs and long loading times. 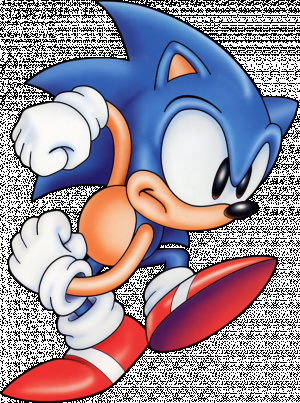 A 2D Sonic now and then is okay, but imo it's all the same. Running from A to B and sometimes you have to remember to jump.The 3D Games (before Unleashed) are more dynamical and offer some exploraion elements from time to time. If only Miyamoto were in charge of a 3D sonic game, than we'd see something truly amazing. Because there is tons of potential, but there hasn't exactly been anything as great as Sonic Adventure 1 and 2 'when' playing as Sonic as of late. Suit #1: We need to do something big for Sonic's 20th anniversary. Does anyone have any thoughts? Suit #2: We could do another cash-in compilation, fans seem to eat that stuff up for some stupid reason. Suit #1: I don't know, I think we promised we wouldn't fill the shelves with the same old crap as before. We gotta come up with something new. Market Analyst: Well sir, according to the internet most Sonic fans love the original 2D games and are mostly indifferent to the newer gimmicky 3D iterations. They are especially fond of aspects of the games such as the sense of speed when playing the games and as of the last decade, they've consistently been more and more disappointed at the state and direction of Sonic and his games. Game Designer: I know what we can do, we can take the framework of the old 2D games, update them to 2.5D and give the graphics an overhaul, that'll surely please Sonic fans both old and new! Suit #1: ...but remember, the key is to have him fighting robots everywhere, easy robots, waves and waves of them. Suit #2: That's absolutely brilliant, it'll sell billions of copies. How many skus do we have currently on store shelves? Suit #1: Hmm, about 2 dozen. Suit #2: We released 2 dozen Sonic titles in 1 year!? Hmm, that's not good, it'll get lost in all those titles. How many of those have a Metacritic score of 70+? Marketing: Already on it sir, I'll fill in the template and send it out to the press immediately. Suit #1: This will be the best Sonic month yet! Suit #2: You're absolutely brilliant sir. Suit #1: That's why I get paid the big bucks. That reminds me, cut out half the game, we can sell it to our fans later as DLC. So Mario is five years older than sonic? No Nintendo arn't doing Mario Allstars in 3D as far as I'm aware. I just made the Mario Allstars comment becuase, at the time of its release, AllStars updated the games to SNES style graphics, which was modern at the time. hehe. I'd rather take the risk than let Sega make another poop fest, since the chances are 90% most likely. And we all know Miyamoto would pump out some genious level design and fantastic controls. But that's just a dream, in the time being hopefully Sonic Colors delivers! @syotek: Nice job! That deserves a forum of its own right there! @sykotek: I hope the real Sonic Collection (if there is one) won't be like your hilarious comment! If it has Sonic 2 on it, I'll get it no matter what. I heard the gameplay will be similar to Unleashed/Colours but I somewhat hoped that they'd build a menu to ask you whether to play it like the classics, Rush, Adventure/Heroes or Unleashed instead of the latter to be quite honest. If that is confirmed I will purchase it in a heartbeat. If they're gonna update the games, hope the games will be like Sonic Colors! Also, I still gotta get the Winter Olympics game. What about that Sonic Classic Collection on The DS. @Mickymac- I liked it, it wasn't as bad as everyone thinks. But thats just me. Sonic 4 comes out tomorrow. w00t! i want the chao pets back! a red Wii for Europe, Super Mario All-Stars for Europe and, er, a website for North America – INSERT RAGE. Also, @sykotek- you are winner, seriously, that was a great way to capture everyone's feelings on this long-dead franchise. Sonic the Hedgehog All-Stars+, huh? Sounds like a plan to me! And seeing as how it'll be available on DS, I'm assuming it's going to be a graphical upgrade, with the Homing Attack probably thrown in for good measure. I sure do hope that this stays a rumor. Who actually cares about Sonic anymore? Since he went into 3D, his games have got worse and worse. Bravo! Bravo! You should totally turn that into a musical! But lets get serious here. Who remembers that Sega Classics Collection on the PS2? Same premise... remake the classic arcade and Master System Games for the modern consoles... and half those games sucked. What I think they need to do is go ahead and make the 3D or 2.5D remakes or whatever, but make the originals available too, since people actually liked those! And if the remakes turn out good as well, you win twice. @15: I love you and if I was a woman I would want to have your babies. Anyway I would be happy if the only thing they did for Sonic's 20th birthday is fix "Sonic's Ultimate Genesis Collection" to have Sonic 3 and Knuckles in it, and maybe Knuckles in Sonic 2. Really wasn't any reason it shouldn't have been on the disc in the first place, and come on, that's some great Sonic stuff right there. 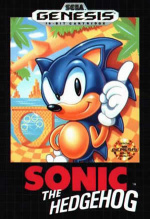 And since they chose to put Sonic's name in the title, they should deliver on as much Genesis Sonic as possible. Or they should have just done what they did in EU and not put Sonic's name in the title (in EU the collection is called "SEGA MEGA DRIVE Ultimate Collection"). I have no hope for any remake or re-imagining they want to do of the Genesis games in either 3D or a new 2D art style. These are the same people that shipped "Sonic the Hedgehog Genesis" for GBA and "Sonic Classic Collection" for the DS, both of which were just ports and both of which were just glitchy messes. I just wish SEGA would leave the old games alone now, because every time they touch them anymore they always manage to deliver disappointment in some form. @SmaMan: Those were budget-priced "Sega AGES" games, though, compiled into a single disc since it was assumed they wouldn't stand well enough on their own (which turned out to be true). Plus, the remakes of Phantasy Star I and II (Japan only) were FANTASTIC... and they were withheld from America. Go figure. Man, this was three whole years ago! The game was certainly great, I think.